Don’t settle for just any turf, give your furry best friend the perfect play space with the best artificial grass for dogs! The weather in Dallas is almost always sunny. That is why pleasant aesthetic and durability of the grass is essential – important qualities that natural grass cannot copy. However, some people are hesitant to use synthetic grass, fearing that their dog won’t enjoy it like natural greenery. Fret not! As long as the artificial turf for your petscape has these essential qualities, you don’t have to worry about a single thing. 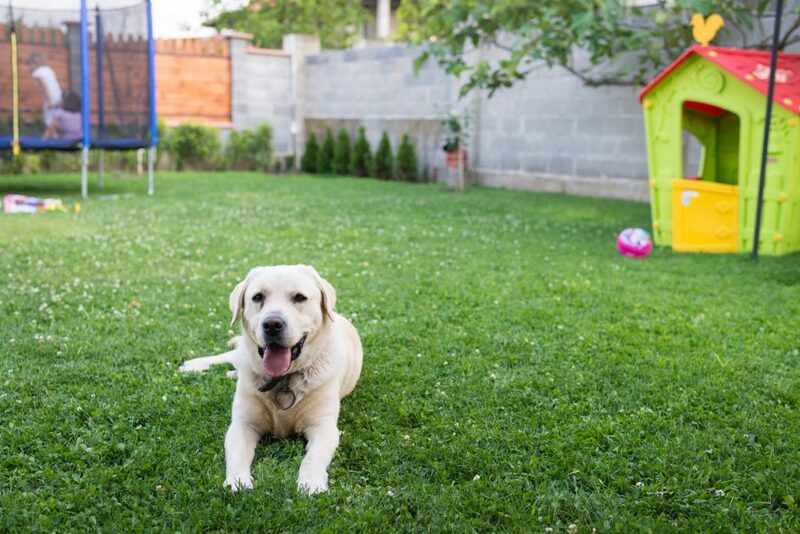 Let’s take a look at the qualities of good synthetic grass for your petscape. When looking for good synthetic turf in Dallas, choose one that can deal with your pet’s natural habits. It can’t be avoided that your dog will defecate once in a while. The good thing about high-quality turf is that it can handle the feces that come out from your pet. They just need to be picked up from the grass and washed with a little water to remove the odour. • Your pet has a dry space to run around in no time! Since your dog will be playing around all day in your pet scape, there are times that they’ll be running non-stop. Their rowdy nature can prove troublesome to anything in their sight.Since high-quality artificial grass has blades that are soft-to-the-touch, yet durable, you don’t have to fear damage to your lawn. Because of modern technology, synthetic turf not only mimics the look of actual grass, it’s also been specially designed to handle pets who are at their most playful. Your pet gets all the exercise they need, and your lawn will still look pristine as ever! Remember those times when your dog stepped into your house and left paw prints on the floor? The sign of mud definitely annoyed you again and again. This brings us to one of the best perks of synthetic turf—dirt-free paws!With virtually no mud, you no longer have to clean up your dog before going back into the house. They can run all day on your lawn, and have a clean floor all day! With artificial grass, you get to treat your dog in your very own space, and you also contribute to their well-being. For the best artificial turf in Dallas, Synthetic Grass DFW is the company you can count upon. We have turf that fit your every lifestyle and your every need. Call us now at 214-997-6958, and we’ll help you realize the landscape your dogs are looking for!